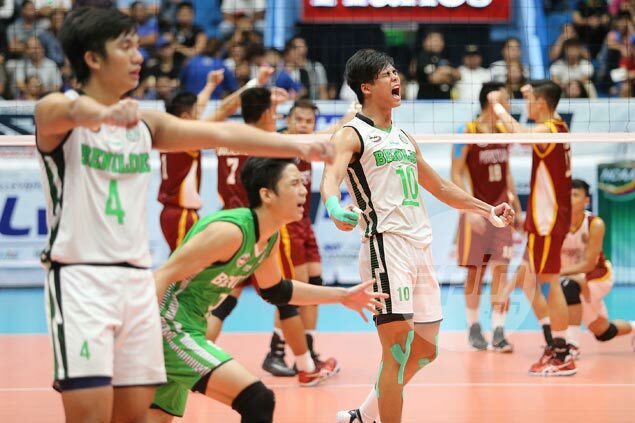 COLLEGE of St. Benilde team captain Johnvic de Guzman was named MVP and the first best opposite spiker of the NCAA Season 92 men’s volleyball tournament. The graduating CSB star led the Blazers to a 25-12, 21-25, 17-25, 25-14, 18-16 victory to dethrone University of Perpetual Help at The Arena in San Juan. Adrian Viray of San Beda College was named first best outside hitter, with John Joseph Cabillan of Arellano University getting the award for second best outside hitter. Kevin Liberato of Arellano was named first best middle blocker, Limuel Patenio of San Beda was adjuged second best player for the position. Perpetual Help’s Jack Kalingking was awarded Best Libero with a 59.18% efficiency rating on reception and an average of 3.68 digs per set, while the Altas’ Relan Taneo was named best setter with an average of 10.71 excellent sets per set. Emilio Aguinaldo College’s Joshua Mina was given the Rookie of the Year award.